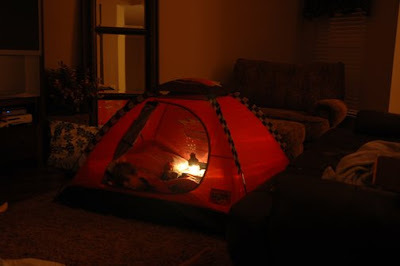 This past week Andon kept asking to go camping. We have never even taken him but he knows all about it! 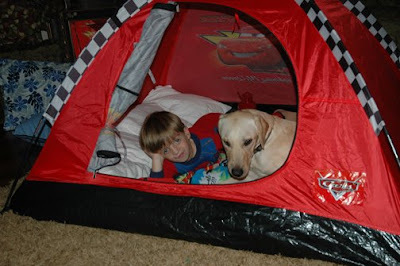 He has a little red tent that we set up in the house every once in a while for him to play in. So we decided to make a night of it! 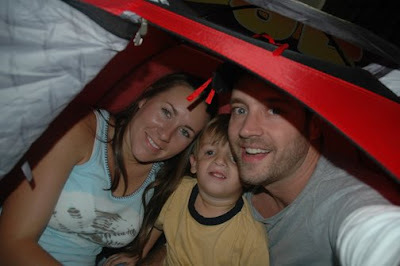 Friday night when daddy got home we started our camp in. :) We were gonna grill hamburgers and hot dogs and do smores on the fire but unfortunately it was pouring outside so we did BLT'S, chips and watermelon inside. 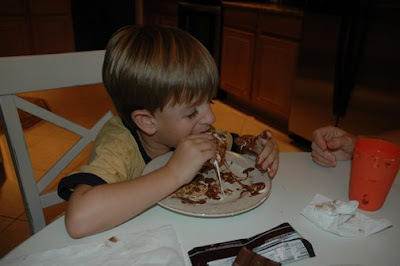 Then for dessert we still made the smores just did them in the microwave! So good, and messy! Andon liked playing with them more than eating them. You guys are so much fun! Too cute! i want parents like you guys!! very fun! 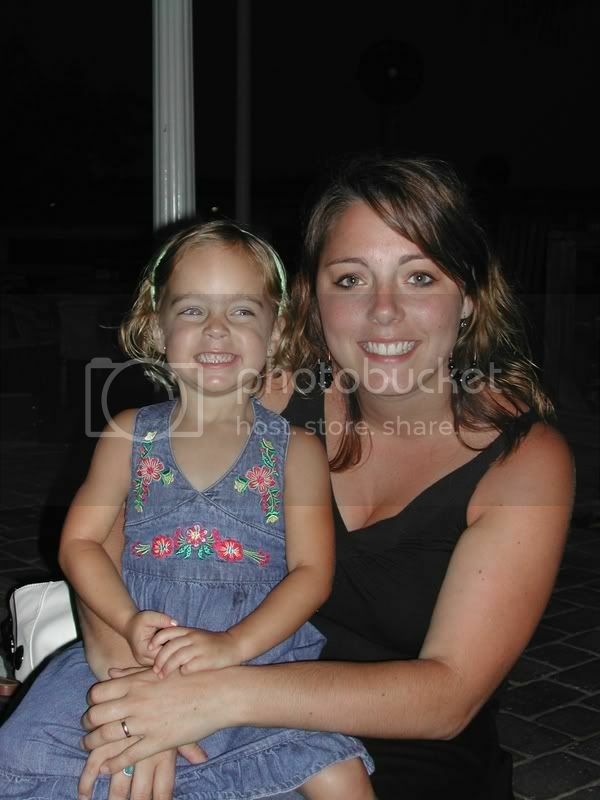 You guys are such great parents! 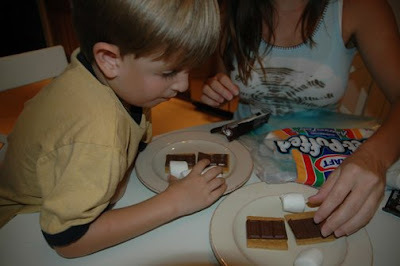 I'm thinking micro-s'mores are the way to go!! LOVE IT. . that's my kind of camping too!